You must make bookings at least 5 minutes in advance of the time at Zucca Edinburgh. There is street parking and a NCP car park located on Castle Terrace just at the back of the restaurant. There is a Bus stop and a Taxi rank 20 metres away from the restaurant, located on Lothian road. Haymarket & Waverly stations 15,20 mins walk/8,10 mins cab ride. Enjoy five premiere Italian wines with friends; learn about the heritage of each estate, the character of the grape and the correct tasting technique. Each wine dinner is carefully planned to showcase both food and wine organoleptic properties. Our degustation dinners typically commence at 7.30pm, with a complimentary aperitif at the bar, followed by a 4 course dinner with matching wines. 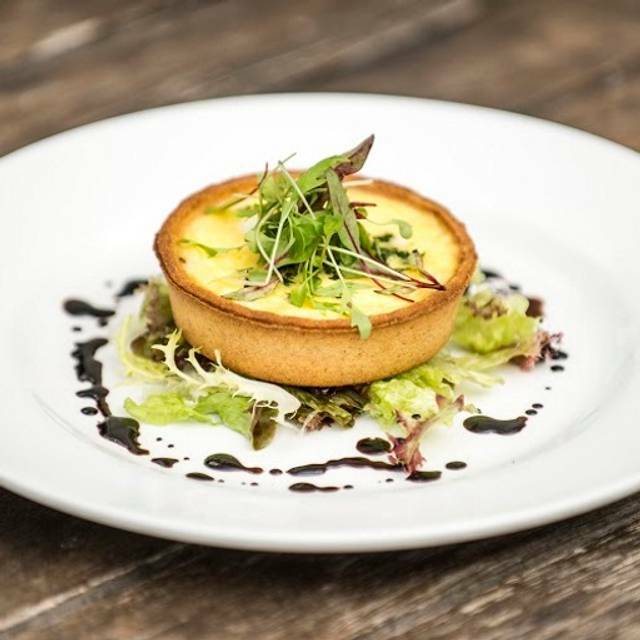 Zucca can cater for all your outside (or in-house depending on the size of your party) catering needs, from small platters of hot and cold food to private dinner parties, corporate entertainment and larger events such as weddings and birthday celebrations. 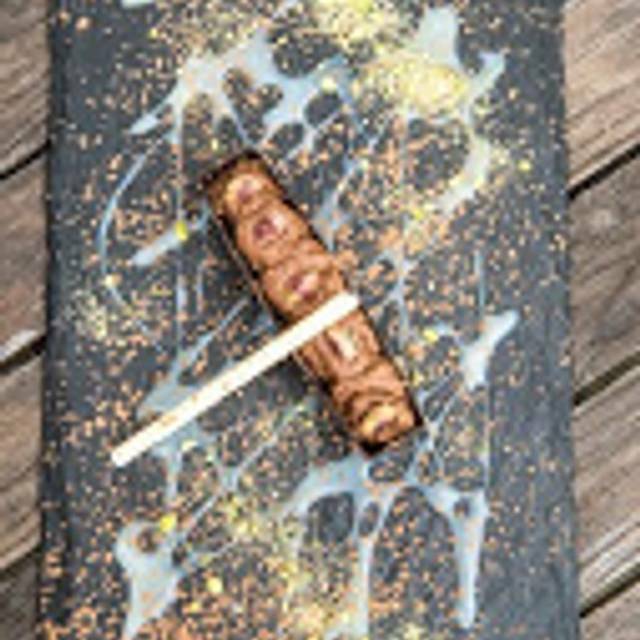 The food can be tailored to your specific needs and personal taste. Service can be provided from highly trained and professional service staff. 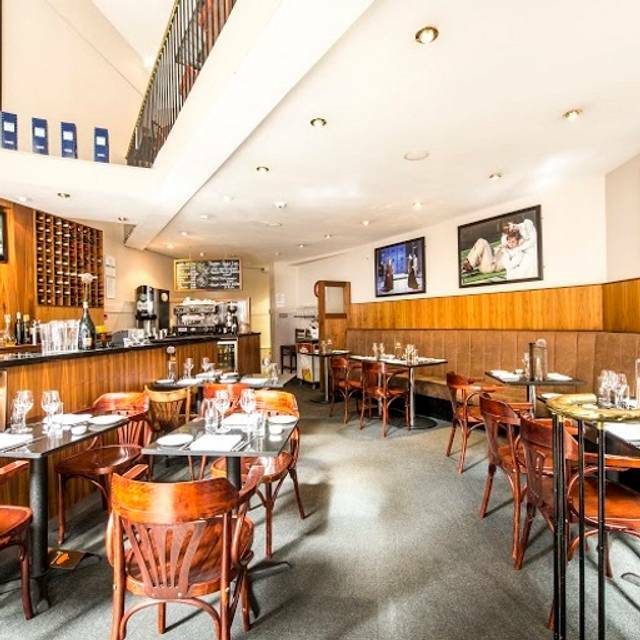 Zucca, an “artisan” Italian restaurant, located in the west end of Edinburgh’s theatre district, is a firm favourite with the pre-theatre crowds, tourists and locals alike, looking for great food without too much fuss and formality. 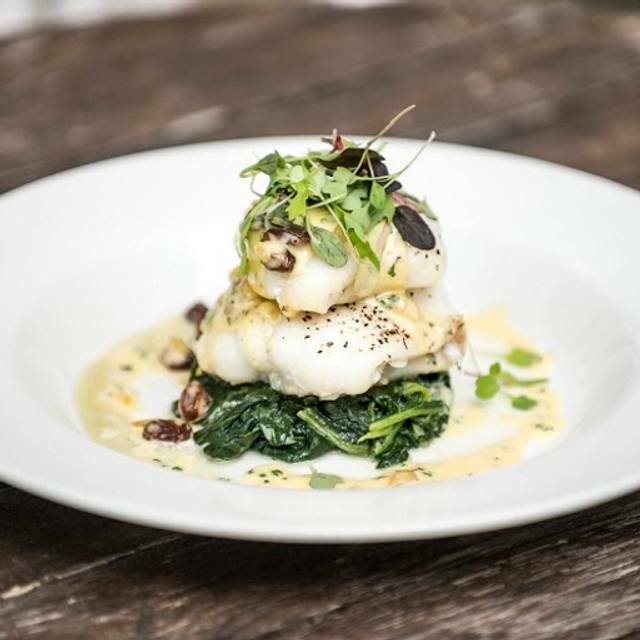 Ideally situated in between the Royal Lyceum, the Usher hall and the Travers theatre, it aims to offer elegant but simple food, using fine Italian and Scottish produce, reflecting both seasonality and the chefs’ creativity, maintaining a Mediterranean theme throughout. 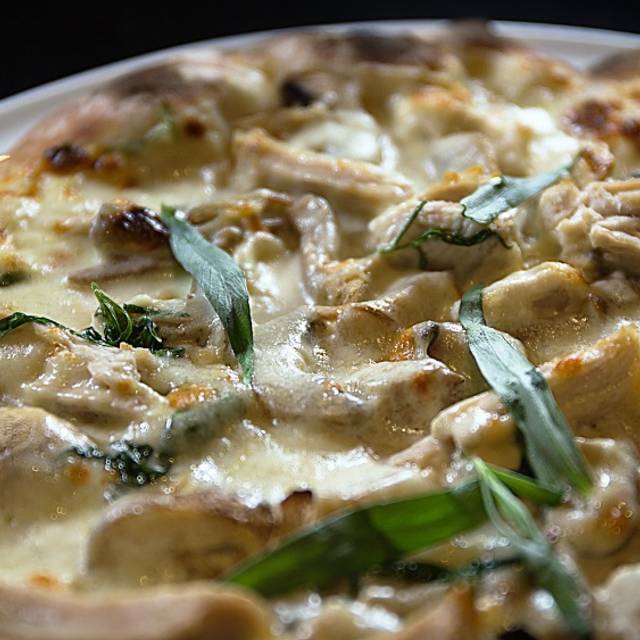 The food is complimented by an unpretentious selection of good wines, moderately priced; highlighting the best style each Italian region has to offer. 20% off food bill when dining from a la carte menu. Cannot be used in conjunction with any other offer. Discount from a la carte menu only. We had a very warm welcome and all the staff, throughout our visit, were friendly and helpful. We enjoyed a good bottle of wine. The only poor point was that the rocket salad that accompanied some of the dishes would have been better with an adequate dressing. Other than that our pre Theatre dinner was excellent. Friendly staff, lovely little restaurant. Food arrived quickly and was generous in portion size. Delicious pizza and pasta. Oh, the desserts were beautiful. Will be back. 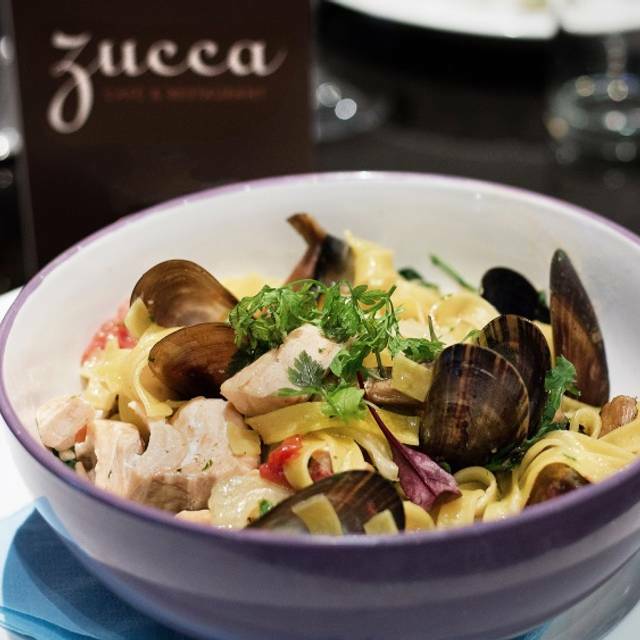 Zuccha is a brilliant place, it is so relaxed with great service and great food, I have been on lots of occasions and it is fantastic every time. Looking forward to going again in the near future! Thanks for a lovely lunch. Excellent - my daughter and I greatly enjoyed our choices for an early evening dinner: bruscheta and carbonara for her, scallops and mushroom risotto for me, with a good glass of wine. She was full - I had room for an afogato. All very well prepared and cooked, well presented and served on attractive plates. Delicious food in very pleasant surroundings for a pre-theatre lunch. Excellent choice of dishes and all served without a rush but in good time for the performance. Extraordinarily good value for money. We will return! Accessibility through theatre very good as I have limited mobility at the moment. Very good choices for express lunch including vegetarian options. Staff very helpful and friendly. Well decorated with theatre posters and very pleasant ambiance. Thank you Zucca! Made the trip from Glasgow extra worthwhile! The ambiance is effected a little by the theatre but staff where friendly. This was a convenient restaurant to dine at before out theatre performance next door. The service was very attentive but discreet, the food delicious and keenly-riced. Overall a good experience. 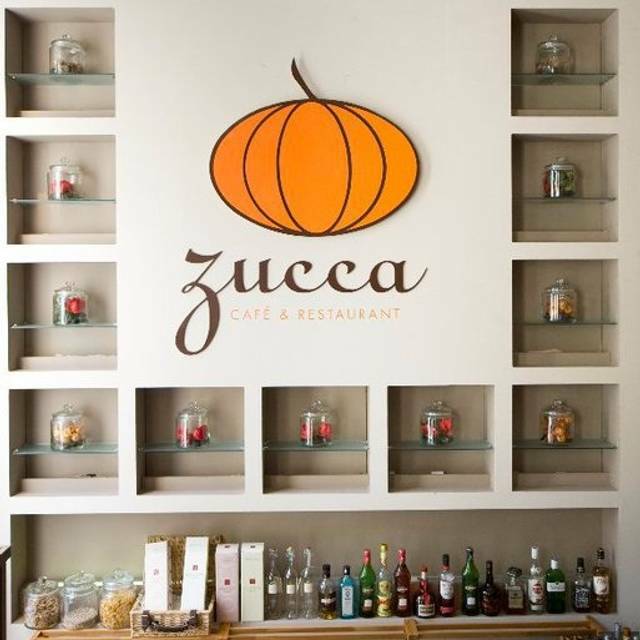 I used to eat at Zucca frequently, but have not been for a few months, however I was disappointed that the menu was largely the same as last time and the time before that. They need to add to it or change it more regularly to entice me back more often. 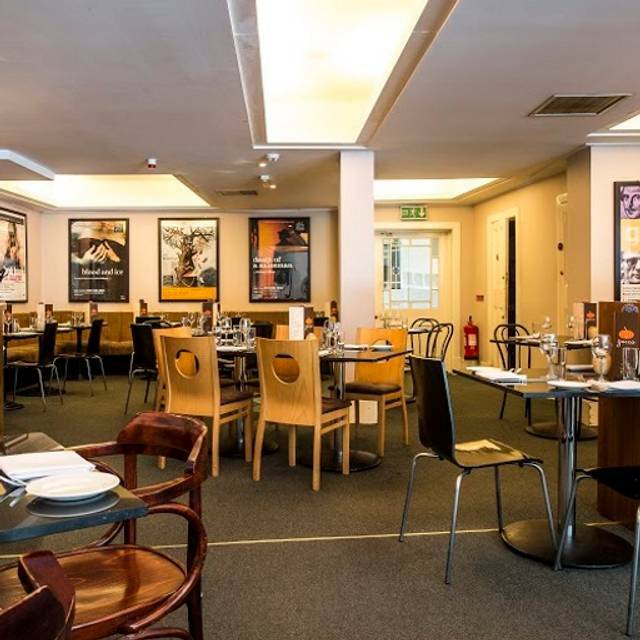 Zucca is the perfect restaurant for your pre Theatre dinner when visiting The Lyceum Theatre. The staff are always friendly, get atmosphere, lovely menu and all delivered very timely. Also great value for money. Disappointed with choices l made with all 3 courses! My wife and I usually book a pre-theatre table at Zucca. The food is always excellent, the wines very good quality without breaking the bank and the service swift and efficient from really friendly staff. We'll keep going back! We have eaten here on number of times and have always found the food to be good, the service efficient and the ambience pleasant. On this occasion we were about ten minutes late due to a traffic jam and were just in the nick of time to secure our table, which was about to be given away. We were seated in the downstairs part of the restaurant which is less pleasant than the larger, upstairs section. The service seemed to be rather haphazard. We ordered two starters to share between four and were brought only one, (though we were only billed for one). One of us had ordered the 'special', Fish Pie, which came as a surprisingly small portion. I appreciate that the restaurant was exceptionally busy due to the popular show currently at the Lyceum, but nevertheless this was a disappointment. We enjoy the ambience but most of all its handiness for the Lyceum theatre. Delicious food no matter what selection, we both had the seafood hot pot which was SO good, the wine is good as well, tho not a huge selection . I like that you can have confidence in the list. The waiters are knowledgeable and very on the ball, take your coats, suggest side dishes...and smile ! I would not hesitate to recommend Zucca and can’t wait for the next visit. After booking a table a week in advance to be in time for a show I have to say it was awful. Gave our order to the waiter who was very pleasant and helpful. Two people sat at next table arrived after us and were on their main course we still hadn’t been given our starters. When questioned the waiter we were told that the main course I had ordered was finished and they didn’t want to serve the starters until I had ordered something else. I had ordered a pre theatre special so at 5.30 pm how could this be sold out? Nobody came and told us about the situation. This was very annoying as we were on a time limit. Anyway after eventually getting a main which I didn’t really want we decided to finish our meal with coffee. I have to say that we are still waiting for it The whole meal was a disaster on what was a very much looked forward to Mothers Day weekend. I will never be back or recommend to anybody. Great for pre- theatre dining. Extensive menu, good wine list. Pre theatre! Great buzz. Great servers even though they were very very busy. A Tad pricey!!! But good fun! Original table offered was near the door and cold. Moved to table upstairs but was under air conditioner, also cold. Final table offered was suitable. Great little restaurant ideally located in Edinburgh. The food is great and service very quick and efficient. The service was excellent. we were there pre theatre and it was very relaxed and we were never in any doubt that we would be out in time to get to the theatre. Food was great - fresh and delicious. Great find! fantastic service, lovely ambience, no one was rushing us away and the food was super. The mushroom risotto was amazing! Restaurant coped very well with our table of 8. Clean plates all round except for one or two who were too full to finish the tasty pizzas. Decent wine too though the liquer coffees were a bit cold. Definitely worth a visit though. At least the scallops I had as a main meal were very good. 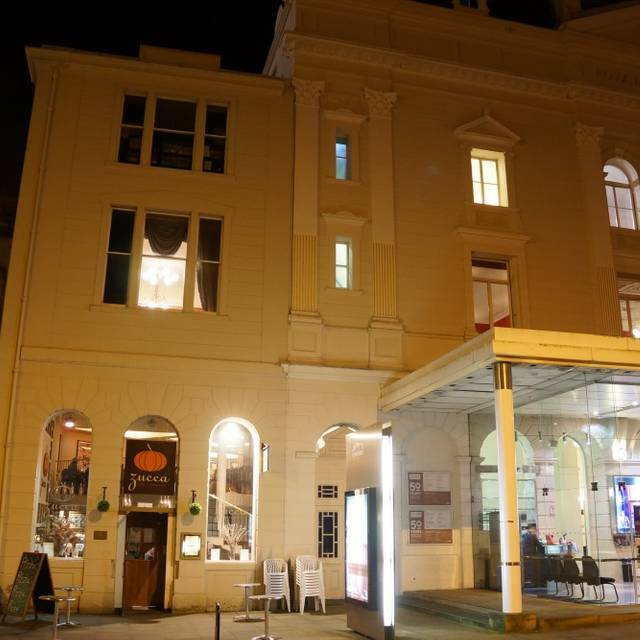 Very handy for the theatre and very pleasant staff and nice food, lots of gluten free choices. The food was well prepared and of a good standard. The service was a bit casual. Generally the upstairs restaurant is more agreeable. Great for pre theatre nice food and efficient staff. Most enjoyable evening with excellent food for a very reasonable price.